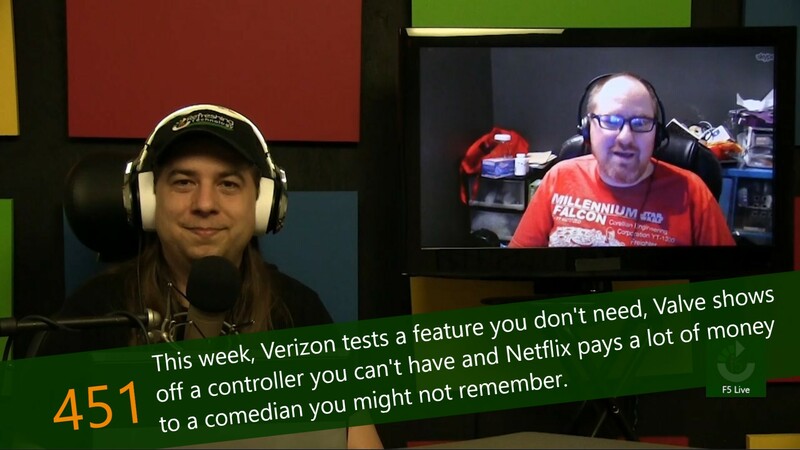 This week, Verizon tests a feature you don't need, Valve shows off a controller you can't have and Netflix pays a lot of money to a comedian you might not remember. Valve has put a lot of time and effort into its SteamVR program, and its partnership with HTC on the Vive headset. While headset hardware can set the platform apart from the Oculus to a certain degree, the idea of a headset with video playing is a pretty solved problem at this point, Where Valve can really set itself apart is in controller hardware, something that has been a bit of an overall loss in the industry. Since word broke of Twitter's interest in a sale, suitors have come, and suitors have gone. 3 weeks ago, the list was a who's who of companies interested in social and data. Today, the list appears to be empty, with the 5 major rumored suitors all backing away from the discussions. As Netflix moves towards 50% original content, the company has begun approaching unlikely people for new projects. One such unexpected content producer is Chris Rock, a comedian who hasn't toured in almost a decade and hasn't been comically relevant in even longer.